This year, I’m using a new drawing app that I’ve been working on to generate files to load into Inkscape and draw using the Eggbot. In general the app processes an image file and creates an SVG based on it. These are several different renderers. The four eggs above are the most abstract. 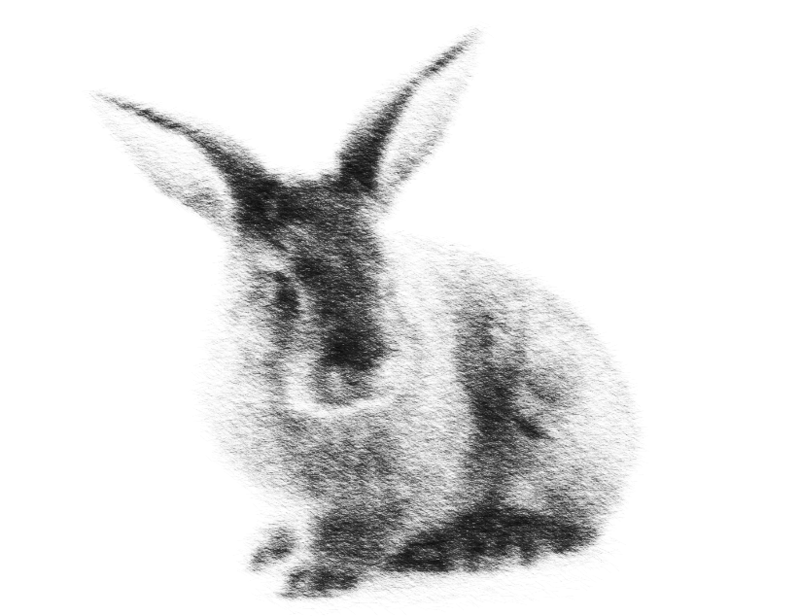 The algorithm draws wandering lines based on the brightness values of pixels in the image. The image below uses a hatching program that can be quite photo realistic. I have not yet drawn it successfully using the Eggbot and sharpies. I did manage to draw it with pencil, only to have it smear off the eggshell. This entry was posted in Uncategorized and tagged Eggbot, processing. Bookmark the permalink.